Matrix Controls Corp., a Texas Corporation was formed on May 6, 1996. The home office is centrally located in Austin, Texas. 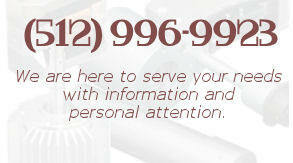 We also have offices conveniently located in Tulsa, OK; and Houston, TX. The company was formed by Norman E. Phillips for the purpose of representing manufacturers, both domestic and foreign, in the states of Texas, Louisiana, Oklahoma, Arkansas, New Mexico and Arizona. Norman represents 50 years of Sales and Marketing experience. He offers extensive experience in dealing with customers in the Oil & Gas Production, Pipeline, Process Equipment, Aerospace, Medical Equipment, Food Processing and OEM Manufacturing.